Bengalis or Bangali are branded with their love for fish. Be it the Bangals, who crossed the borders from East Pakistan, now Bangladesh and reached India or the Ghotis who actually lived in West Bengal even before the Indian partition in 1947. Bangals and Ghotis will shout in unison for their love for fish. 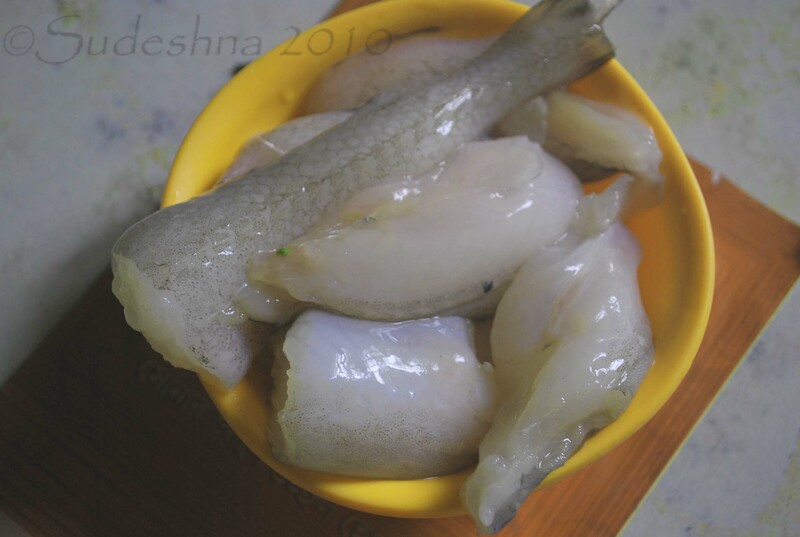 Fish is like a part of the Bangali society, an integral part of the Bengali culture and cuisine, something indispensible. There can’t be a meal completed without the serving of a fish curry or at least a fried fish. But with our generations getting pretty lazy of cooking fish (rather the task of entering the kitchen) or too busy with the other important things in life; having fish has become a run to the nearest restaurants. Great Bong has something to say about this dying trait of Bangali. Both my parents’ families are Bangal, and that makes me a pure BangalJ, and that is surely reflected in the ways I cook and the food I like. I am an avid lover of “shutki maach” (dried fish). I can barter my tooth and nails for a morsel of shutki maach cooked in dry gravy. When we talk about shutki maach, Bombay duck or loitta or lotiya maach can’t be left behind. This fish with its pungent smell when dried is a winner among all kinds of dried fishes. For those who have not tried having dry fish, I warn you, it’s not for the weak at heart. Now, don’t get carried away with the dry fish, I’m not writing a recipe for shutki maach, but it’s a recipe for the crispy mouthwatering fritters made with fresh Bombay duck. This very soft and delicate fish looks divinely pinkish white when fresh and you can definitely identify it from other fishes sold because it is scale-less, and never have I seen it alive at the fish stalls (have you?). Though the wiki page on Bombay duck claims it to be a pungent smelling fish, I would rather disagree to it. Loitta even lacks the fishy smell unlike other fishes sold in the markets. This morning when I put up a small note on the Cook Like a Bong Facebook fan page for the loitta vada post, I never thought that the fish was so popular every where. Within no item there were comments streaming on that little note. There are many ways loitta is cooked in different households, but apparently the lotiya bora being the most popular one. Its better if you get the fish fresh and cleaned from the market for the preparation, but if that is not possible then the canned fishes are always there. Hot Tips – If the batter seems too gooey then put in a little bit more of rice flour. The fish shouldn’t be over boiled; else the fritters will loose the crispiness. isi wanna try these today. but am wondering if there’s a substitute for poppy seeds. You can put in semolina (suji) in place of poppy seeds.